With international acts bringing in unique shows, theatre and performance arts in Kolkata are turning exciting and educating. Kolkata, the City of Joy, and the capital of the eastern Indian state of West Bengal, has been often called the cultural capital of India. Even as the city has its own set of problems when it comes to the organisation of large-scale events, theatre and performance still finds a space. With an innovative performance, titled ‘Flying Cow’, theatre lovers across age spectrum were treated to Dutch group, De Stilte’s mesmerising act last week, among the many ongoing events that aim to enhance the experience into an educative one. 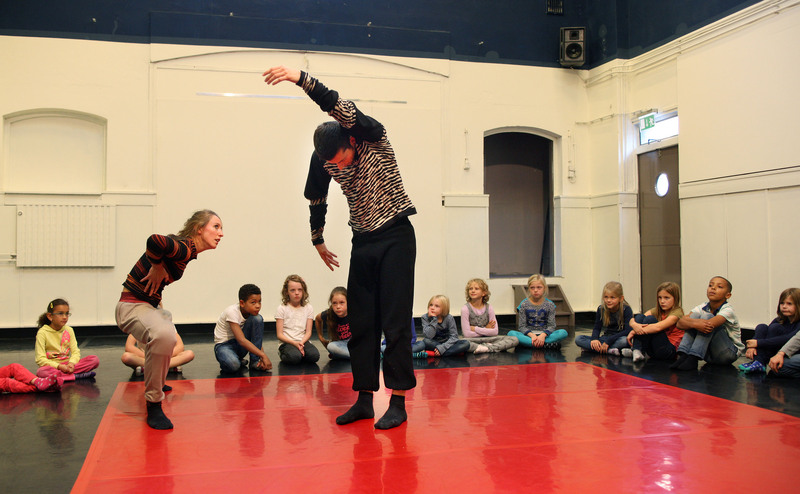 ThinkArts, which has organised events in the past that saw performers from Mexico and Switzerland, collaborated with De Stitle, from the Netherlands, for ‘Flying Cow’. A company that “sees dreams as the motor of reality, play as the birthplace of art, and introduces children to the world of the senses,” De Stitle also showcased special morning shows to reach out to over 1,300 children from schools across Kolkata and children from NGOs like Future Hope, New Light, Dakshinaprayas, Lotus Rescue and others. With enthusiastic response from the audience, ‘Flying Cow’ was a success. With collectives such as Culture Monks organising events such Momentum Experimental Art Festival and Alliance Française du Bengale actively hosting events and discussions on contemporary theatre, the City of Joy is looking to sustain its rich theatre tradition through evolution.